An injection moulding specialist has discovered the power of carbon fiber material– and says it has already become a critical part of its manufacturing process. Carbon fiber is a light but incredibly tough engineering-grade thermoplastic, giving unparalleled strength for dependable functional prototyping, end-use parts and rugged tooling, often replacing low-volume metal parts. 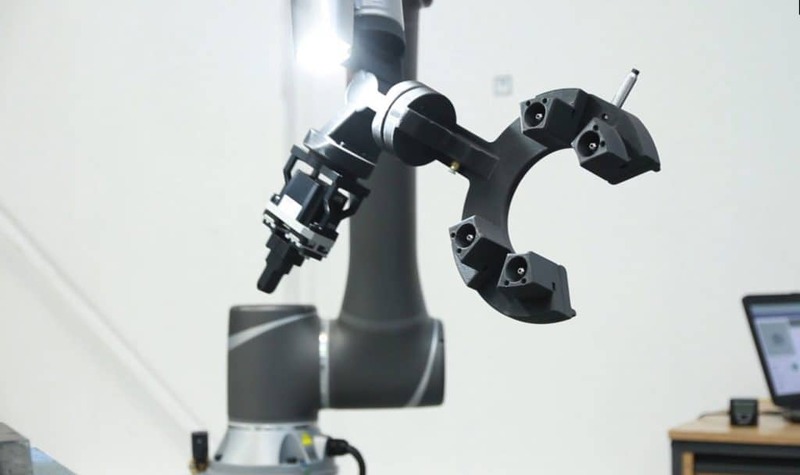 Simon Grainger, Design and Project Engineering Manager at Rutland Plastics, said: “The Fortus 380CF is ideal as it can print 30 per cent carbon filled nylon, which is excellent for producing end-of-arm tooling because it’s strong and durable but also lightweight, meaning our robots can run faster and we can maximise payload. What are the benefits of carbon fiber 3d printing? Stratasys carbon fiber material contains 35 per cent chopped carbon fibres, compared with the 15 per cent figure of its nearest rival, and achieves 30 to 50 per cent higher density on finished parts. The Fortus 380 prints four to five times faster than anything else out there using carbon fiber – but that does not come at the expense of quality. An easily soluble support system allows users to create more complex geometries, with the support material adhering to the build tray. “We can incorporate features and mechanisms such as air channels, and we can also use GrabCAD software to pause prints so that we can stop and put components into the actual 3D-printed parts, such as magnets and sensors, and completely encase them. SYS Systems Sales Manager Rob Thompson said: “The Fortus range can create accurate, repeatable parts quicker than ever before, with many of the engineering-grade and high-performance thermoplastics used in traditional manufacturing processes.